hools are where our leaders of tomorrow will learn to lead and become key change agents for a sustainable society. Our system makes it easy for staff and students to engage in effective energy initiatives and save money on their bills. Do You Know How To Save On Energy In Your School? Every school should be managing their energy usage and educating their students on the importance of energy in their lives, especially if part of a green flag programme. We all take it for granted sometimes but access to safe, affordable, sustainable energy is vital to modern society. WE CAN HELP. Just upload an energy bill to begin our smart energy assessment for your school. Energy costs have risen significantly in recent years and the plethora of ways energy is used in schools and education facilities has likewise exploded. Most schools only keep a watching brief on their energy bills but this is leading to many missing out on cost savings, educational opportunities and carbon reductions. Where Do Schools Use Energy? A typical school uses energy in a range of different areas. Usage can vary considerably depending on size, location, services provided and whether energy efficiency measures have been put in place. 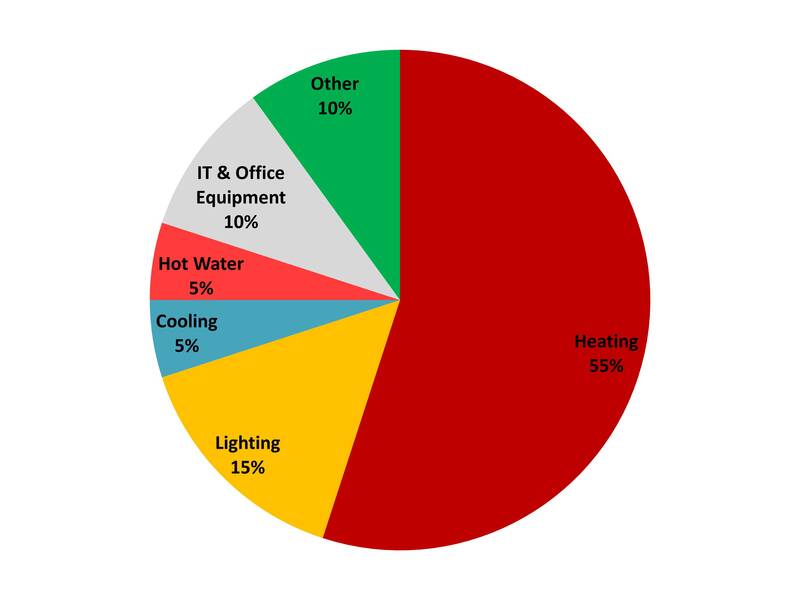 Below is a typical breakdown of where energy is used in a school with extracurricular facilities and typical opening hours. 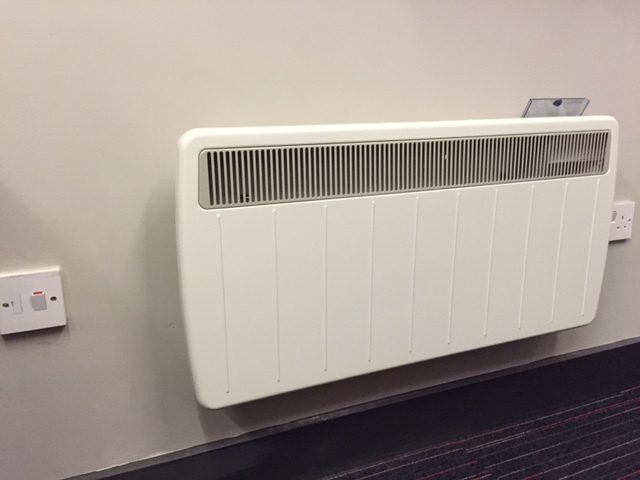 Heating generally accounts for most of the energy consumption in schools and educational facilities. But, it does not always account for the majority of costs. Why? Gas used for heating is typically three time cheaper than electricity. So if you use a lot of electricity for lighting or supplementary heating this could be where most of your energy costs go. 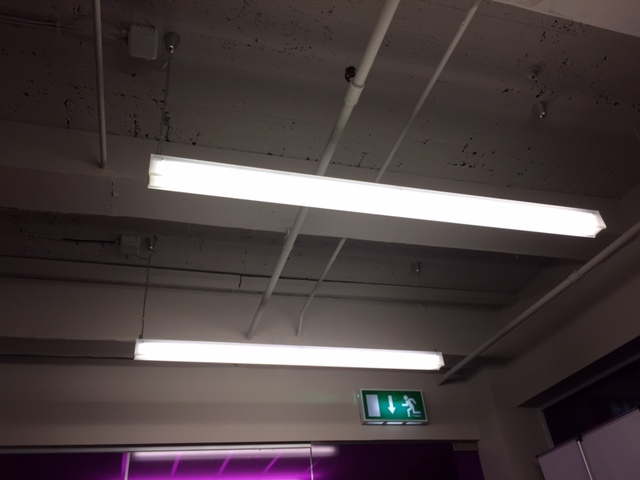 The types of lighting and how it is used in schools can have an enormous effect on your energy bills. A cheap light bulb costing less than a few euros, dollars or pounds, might end up costing you ten times that every year. So the first thing to consider is can you use an LED or CFL bulb for a reasonable price. Most schools require some cooling but many do not know how savings can be achieved quickly and easily in the area. More and more schools and educational facilities are reliant on IT as part of their day-to-day work. Some simple tips in the area can eliminate energy waste in these areas quickly and easily. Hot water is used primarily in bathrooms and showers. But many schools will keep their hot water supply on constantly, despite most usage during peak times such as morning or sports times. Do you allow students to plug in their mobile phones/laptops? Don’t worry, typically these use little energy but other appliances such as heaters do. So tackle these areas first. Our fast, friendly analysis gives you an estimate of how much your school is likely to spend over the next 5 years on energy. This gives you a nice starting point for validating any energy efficiency investments. You’ll also get a monthly breakdown of how much you spend and on what areas. Teachers can inform their students on the effects of their behaviours quickly and easily using the platform. This makes it easy for green committees & teachers leading school environmental teams to see what energy they are using, how green their energy is and how carbon intensive their usage is. Remember, you can’t manage what you don’t measure. Organisations hate waste. Schools are no exception. Most schools that have never looked at simple energy management can expect savings of 5-10% on their energy use. Our platform helps identify the areas of waste typically found, including heating left on in warms periods, lighting left on throughout the night and unnecessary equipment left running.